Dane Staples has won the Wavescape Short Cuts Film Contest with his movie The Donkey Unleashed which features his brother Dale and other top SA surfers spending inordinate periods of time inside the barrel at Donkey Bay in Namibia. Staples, from St Francis Bay, wins the opportunity to work with Red Bull Media House (South Africa) on a collaborative project. 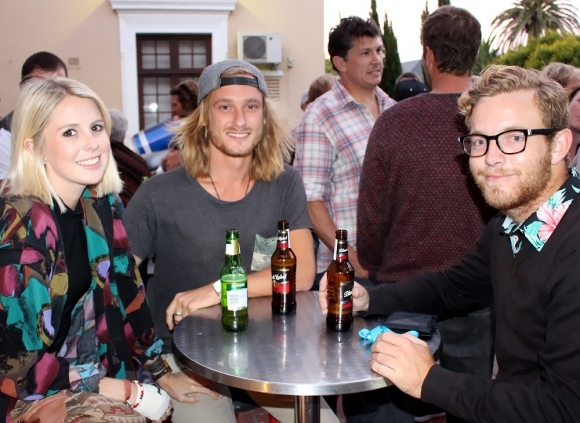 In a brief award ceremony after the six finalists were screened as part of the Wavescape Festival in Cape Town in December, Russell Martin from RMBH (SA) said that they had always focused on extreme sport and action films, but were now keen to work with films and filmmakers who could also add compelling storytelling to the action genre. Runner-up Jonathan Kyriakou received a GoPro Hero4 Black Edition and a Quiksilver Syncro backpack while third placed Dan Mace received a GoPro Hero4 Silver Edition and a Quiksilver Syncro backpack. Staples’ winning film captured the imagination of the jurors with its pace, music score, visuals and storyline and was placed first by six of the eight jurors.